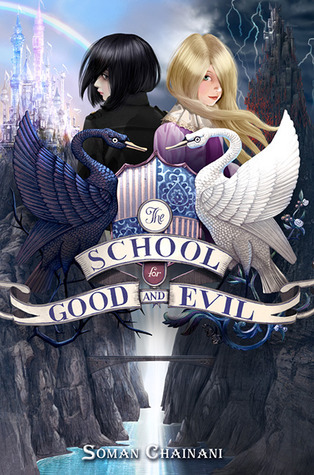 As this was a re-read, I felt I truly appreciated what made Agatha and Sophie good and evil. Agatha is definitely a princess, with her golden heart but dark exterior, while Sophie holds witchy qualities because her beauty, and kindness, is only skin deep. She’s manipulative and angry. Everything these characters do is somehow relevant to their true nature and I understood their motives and desires on another level the second time around. There’s nothing I love more than a boarding school setting. My favourite parts of Harry Potter, and The Gallagher Girls series were always the classroom scenes, and getting to see what wizards and spies are taught. The same goes for TSFGAE – I loved the Uglification classes, or the Princess lessons. Having a boarding school setting allows the reader to be totally immersed in the world, with no outside influence, and I think that worked extremely well for this fairy tale. Fairy tale retellings are my FAVOURITE type of book to read. I adore when authors flip the script and write something completely unexpected. Because Agatha and Sophie create a new fairy tale, there was no way to guess what was going to happen next, but I loved the subtle nods to other fairy tales and their integration into the story. Psst, I also love it when princes are removed from the story. Girl power! So, there you go! If you haven’t read it, I highly recommend you do! It’s full of amazing female protagonists and real life drama in a fairy tale world! This book sounds amazing! I really have to start this series soon. It seems like something I would really enjoy and I have been eyeing it for the longest time now. I love your booktube channel by the way! Great review.